This is a very simple book, but so cute for young children. My younger two enjoyed all the diferent pictures and had no problem at all understanding the message of the story. They've read and re-read it several times since it came in the mail. 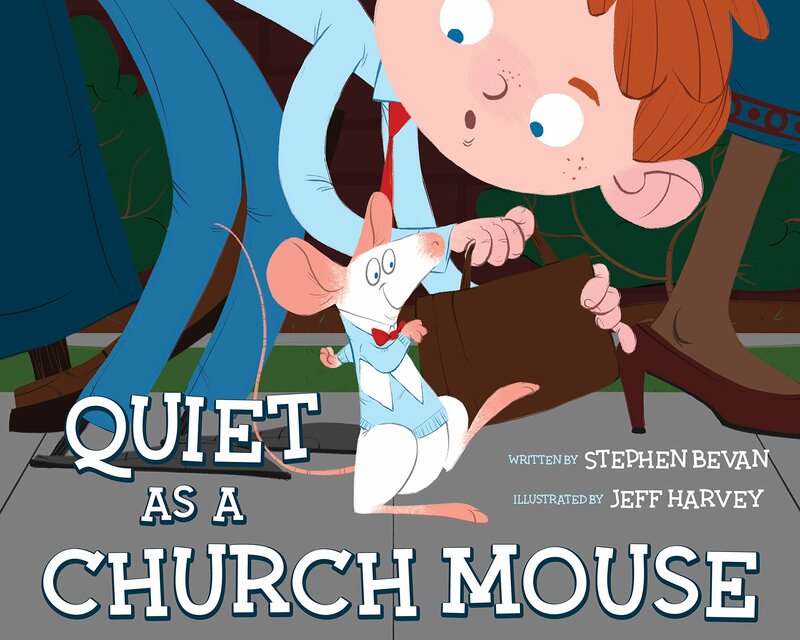 The illustrations are fun and engaging, and I love how the author presents so many different ideas about what a church mouse might be. I think this is a good book for when children are starting to understand the concept of being reverent. My kids loved this book. They thought it was really funny. They enjoyed the different options it gave when deciding what a church mouse was, like an astronaut. They told me that they really liked the pictures, and I'll agree there. The colors were bright and bold, and the drawings were really really fun. They also thought it was funny when the child learned what church mouse really is that his siblings were being quite rambunctious on the bench next to him. They said, "They aren't being quiet like a church mouse!" It did make me wonder if the point the author was trying to make actually came across. I'm not sure that the kids really understood about reverence and what it means. The whole, "Reverence is more than just quietly sitting" concept. But it is a cute book, and they've looked at it multiple times.